It’s not just bees in the goldenrod. 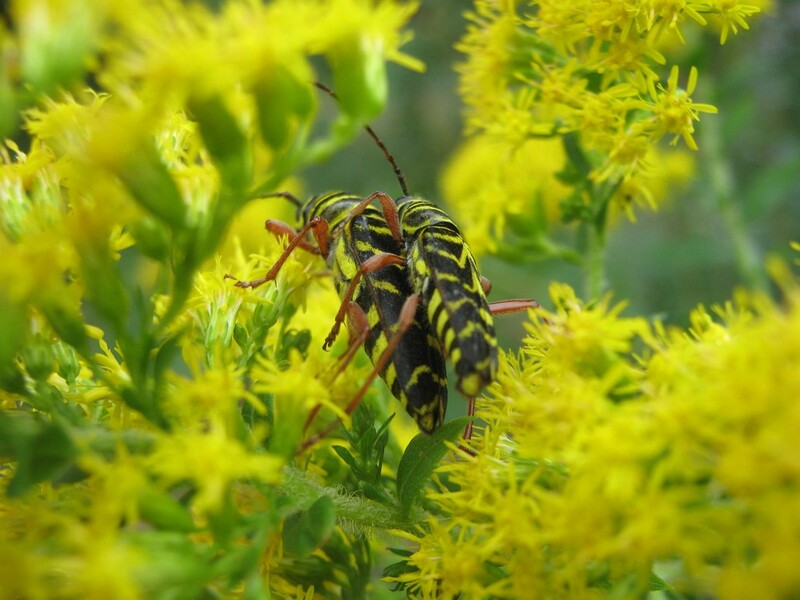 Many of the black and yellow bugs are Locust borers. Not a beetle to boast about, as their larvae are in someone’s black locust tree. One thing I noticed as I was leaning in to get a better shot was the smell of the goldenrod. How did I never notice it before? It’s so much like the sweet bite of wildflower honey, I wonder if I have backwards. The flowers seem to be offering plenty of nectar. (I am not going to show you the flies that are making me surmise that.) I wonder how much of the flavor of wildflower honey comes from goldenrod. PreviousHey squirrels, look at the corn you grew!